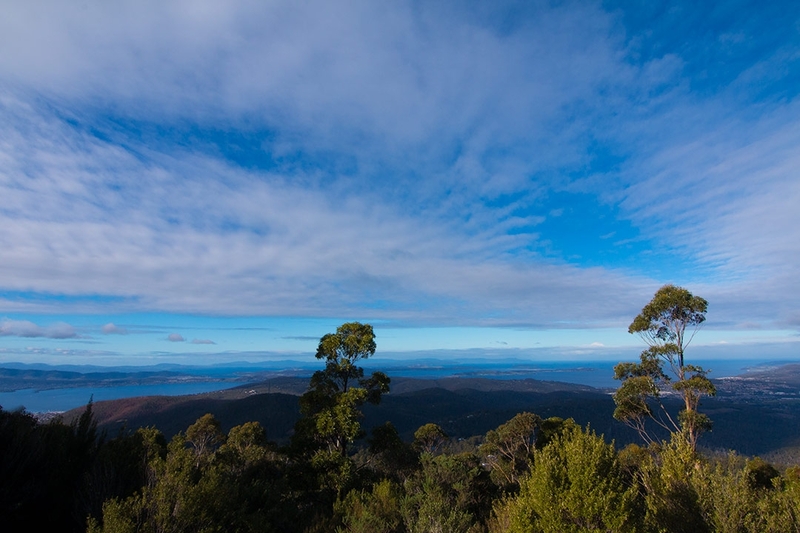 Tasmania is a beautiful travel destination during any season. I personally love winter holidays, and was hoping to do some astrophotography, and catch a glimpse of the Aurora Australis, so I got some cheap flights and packed my bag! 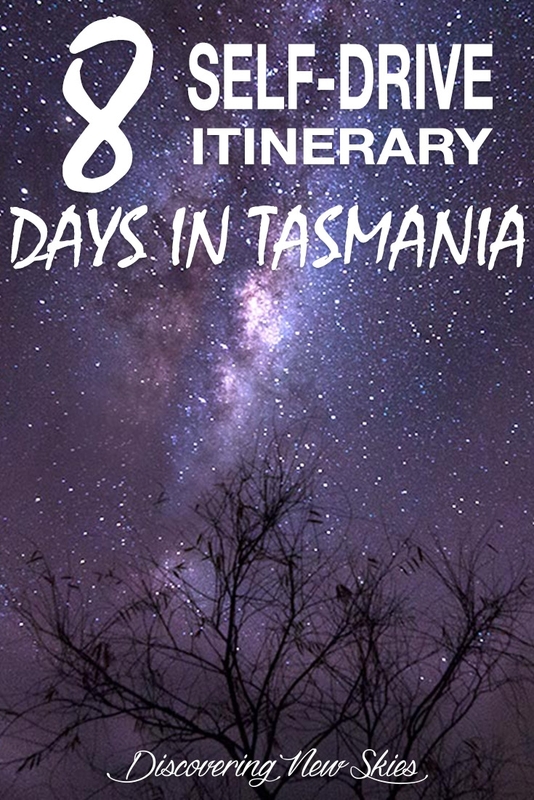 If you’re looking to visit Tasmania, this 8 day self-drive itinerary is a good place to start! I’m a sucker for wanting to see everything, so if you’re wanting to take things slow, pick a few highlights from the below list and save the rest for next time. Home of the world’s highest commercial abseil – check out this post to see the video! I can tell you now, there’s not much else to do out here, and certainly no phone reception or internet. So go for a nature walk, take in the beautiful views and enjoy the serenity…then jump over a railing and abseil 43 storeys to get that heart pumping again! It gets very misty out here in winter, which looks stunning during the day among the tree tops when you’re driving over the many hills. However, be careful driving at night – there’s a lot of wildlife about, including the endangered Tasmanian Devil. Lake St Clair Lodge was just beautiful. Perfect little cozy, modern cabins, right on the lake. Our cabin was wheelchair friendly and was just a minute walk from Lake St Clair itself. I got up nice and early and sat by the lake to watch the sun rise – even though the weather was overcast, it was lovely as it was completely silent, except for a few birds chirping as the sun rose. If you haven’t guessed already, this itinerary was all about nature and getting away from people… My life is hectic, and it never stops. It was great to get away from it all for a couple weeks and spend my time among the mountains and trees. For Cradle Mountain, I wanted something a bit different. There are a bunch of fancy hotels at the edge of the National Park, giving you perfect access for day hikes etc, but I wanted more. I found the Waldheim Cabins on the Tasmania Government website of all places, and none of the big booking websites seem to know they exist. Because of this, it was cheap to rent, and in the heart of Cradle Mountain – just a 6 minute drive from Dove Lake. My cabin had 3 bunks to sleep 6 people, a full kitchen and air-condintioning/heater with shared bathrooms. Because of its remote location, there are no car noises, and the air is as fresh as it gets. Listening to the relaxing rain all night was probably the most calm I’ve felt in a long time. While you’re out this way, there are lots of amazing waterfalls to check out and nature walks for all fitness levels. One of the main tourist attractions of Tasmania are the enormous, unique red rocks at the Bay of Fires. We drove about 15 minutes from our accommodation at St Helen’s to get to the Bay of Fires, and enjoyed a stunning sunset. As the sky changed colour, the wind picked up, stirring up the ocean and crashing waves over the unusual boulders. A big thanks to the Freycinet Lodge for hosting us! This magnificent hotel is in the perfect location inside Freycinet National Park. The private cabins have all the bells and whistles to make sure your stay is perfect. From heated floors and a giant spa bath in the bathroom, to calming music in the bedroom, which opens up to a balcony in the lush forest. It would have been great to spend more time out this way, not just because of the hotel, but the area itself is stunning. If we had more time, I definitely would have loved to do the hike up to the Wineglass Bay lookout for sunrise. The guys over at yTravel Blog have a great post on this hike! 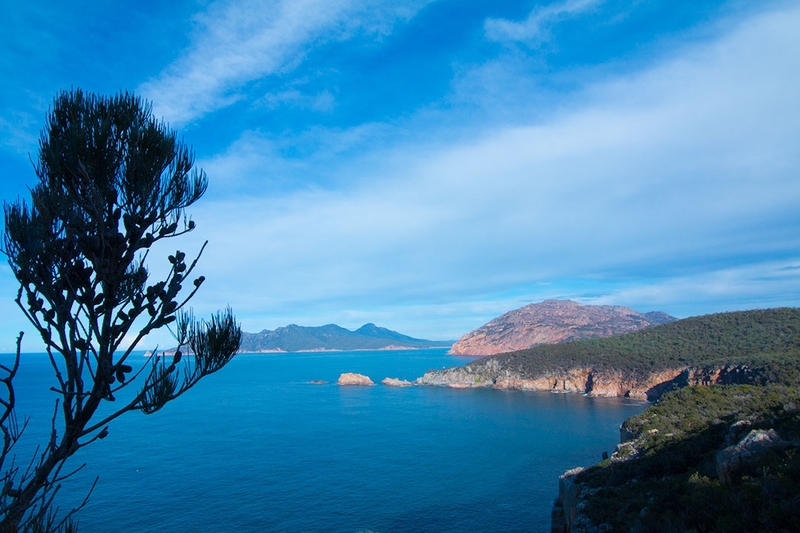 Head up to the lighthouse for some amazing views, and consider taking a scenic flight over Wineglass Bay – you won’t be disappointed! Ahh Bruny Island. This little one surprised me. You definitely need more than one night down on Bruny. For just AU$33 return, we took the car over on the 20 minute ferry ride and drove through some of the most beautiful scenery on our Tasmanian holiday. The wild forests seem untouched and look iconically Australian. 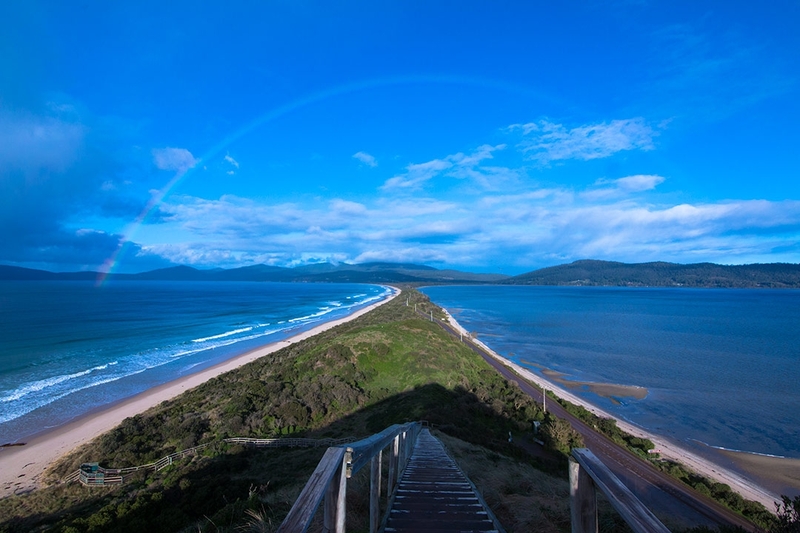 The narrow section of road that joins the northern part of Bruny Island to the southern part has a fantastic lookout not to be missed. Climb to the top for spectacular 360 degree views – while standing up the top, an amazing rainbow formed across from one side of the island to the other. Talk about lucky! If you’re here at the right time of year (and day), you might just see the baby penguins on the beach too! Other noteworthy stops on Bruny Island include: a homemade chocolate/fudge shop on magnificent acreage called the Bruny Island Providore, and the aptly named Bruny Island Cheese. These guys do heaps of taste testing and you can purchase just about anything cheese related – and even have lunch here! I’m not really a big city person when I travel – I like to get out among nature where I can. 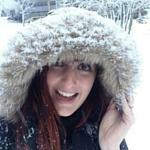 So, I decided not to stay in Hobart (we did check it out though!). We came across this awesome AirBnb property on a farm in Lucaston, about 40 minutes west of Hobart. The night sky out on the farm was absolutely spectacular! 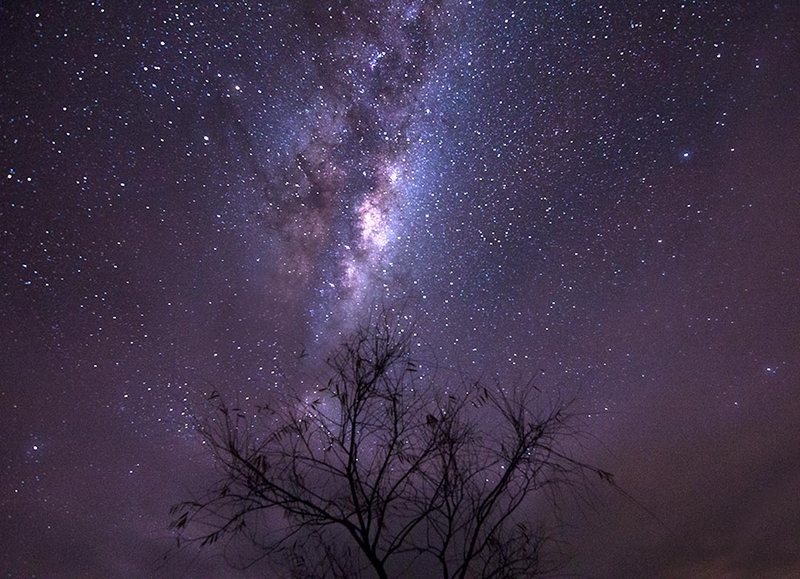 There is no light pollution, and it’s the perfect spot for astrophotography. The clouds were the enemy that night, but I still managed to capture some great shots of the Milky Way. This property had a fire place where we toasted marshmallows while watching the glorious sunset, and freshly picked vegetables from the garden and eggs from the chicken pen. We cooked up an amazing meal and sat by the fire with the family’s cat. To be honest, I could have spent 4 nights out here. It was away from everything, and yet had everything I needed. You could explore the forest during the day, see the farm animals, practice photography, and kick back and relax. It was the perfect end to our whirlwind adventure around Tasmania. Now that I’ve raced around the beautiful Australian state of Tasmania, I’ll pick a couple of places to go back to and spend more time getting out and really exploring what they have to offer. My pick would be to stay in southern Tassie next time and do a bunch of hikes in the national parks and hunt down some more pretty waterfalls. I can’t get over how much there is to see in Tasmania! It seems so small on the map, but the winding roads around all the mountains and hills really force you to slow your pace, while also exposing you to some magnificent Australian flora and fauna. One of my goals for 2016 was to see more of my own country. I’m forever jetting off somewhere around the world, I forget just how lucky I am to live in such a beautiful country. Earlier this year I visited The Great Barrier Reef with Sally from Sally’s Lifestyle Journal. I’m off to the Gold Coast Hinterland this month to stay at O’Reilly’s National Park and check out the glow worms, Sydney is next month, followed by the Whitsundays in November once things warm up a bit! So keep an eye out for new posts! Have you got a suggestion for where I should visit next in Australia? Let me know in the comments below, or find me on Facebook!